We are a state licensed and certified professional real estate inspection services company committed to providing thorough, detailed and objective home inspections on behalf of you, our client. Unlike many of the people involved in your real estate transaction, we have no stake in the “deal”. Our fee is not contingent on the sale, so you can be assured to receive an entirely objective opinion to help you make an informed decision. We take a methodical and detailed approach to each and every inspection. Our focus is quality, not quantity, so we limit the number of inspections that we book. You are welcome to be present to observe and ask questions during the inspection. 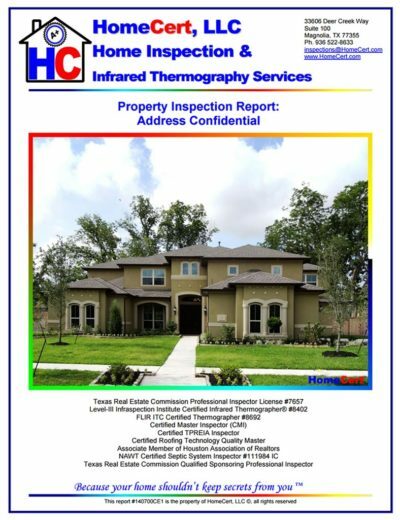 At the end of the inspection, we will be happy to provide an in-person walkthrough demonstrating our key findings to ensure that you are familiar with the issues, their locations and the potential implications. After the inspection, you will receive a computer generated, narrative style inspection report, complete with photographs and conceptual diagrams, that is highly detailed and easy to understand. Please review a sample of one of our reports and compare it to any competitor’s report. We think that you will agree that our reports are second to none. 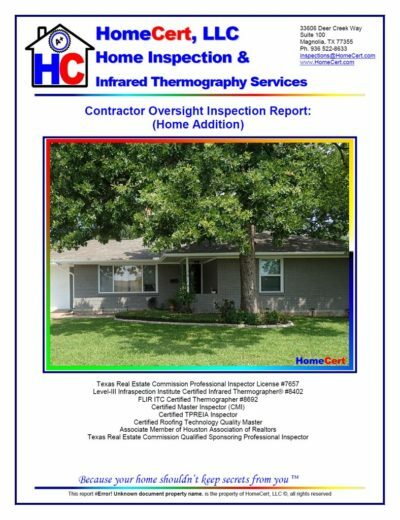 While the process of performing a home inspection is technical in nature, the business of home inspection is customer service oriented. 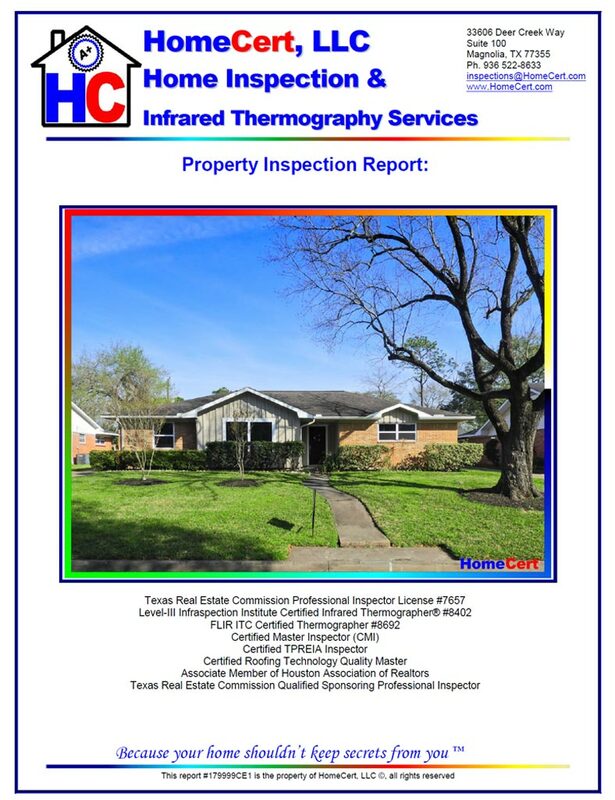 A home inspection company prospers or fails based on its reputation, the value that it provides and the satisfaction of its clients. We believe our clients deserve the highest level of customer service AND technical expertise that we can provide. We strive to make our clients comfortable asking questions to obtain the information that is relevant to them. Whether the client is a first time homebuyer with little knowledge of home construction asking basic questions or an engineer or builder seeking detailed responses to technical questions, we can adjust the level of detail and jargon to meet the needs of the clients without overwhelming them. Unlike some companies, we are happy to speak with our client’s agents, builders or other professional representatives (at the client’s request) to help ensure that they understand what has been indicated in the report and how/why a given item may be indicated as a deficiency. Our goal is to help our clients to get the best quality house possible. 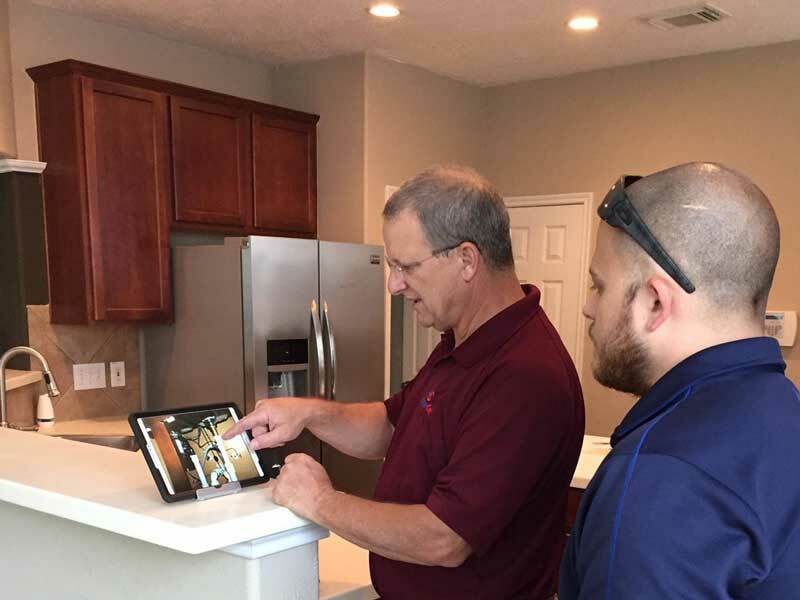 We invite our clients to call us with any questions that they have about their home, regardless of how much time has passed since the inspection. We have no “former” clients. Everyone we have ever performed an inspection for is still our client and we understand that our reputation and the satisfaction of our clients is our single greatest business asset. Ensuring that you are a well informed and satisfied customer is our top priority. If you trust us to inspect your home, we promise to give you the best of our knowledge, experience and ability. If you are not completely satisfied with the thoroughness of your inspection or the detail and quality of your report, tell us about it. We will either fix it or happily refund your money. Is very active in Franchising and Business Social Media. 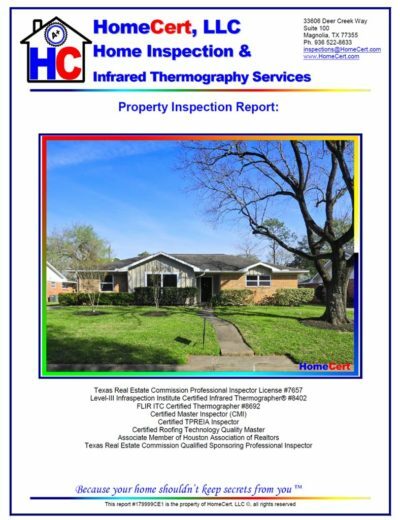 Before selecting your home inspection company, we urge you to obtain copies of actual home inspection reports from each of the candidate companies and compare them to our TREC compliant, home inspection report samples. 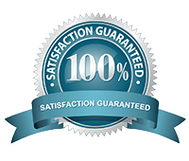 We’re confident that you will find that our reports are superior in detail, clarity, quality and thoroughness. I walked the house with Chuck during the inspection and I know it will help me in the long run as I maintain my new home. He knows his stuff and took the time to explain any questions I had. I was definitely impressed and appreciate his service. I enjoyed working with Chuck from start to finish. He was extremely professional and did a great job. Caught problems I’m not sure another inspector would have caught. When the builder tells you that you don’t need a separate inspection because they already do/include one, don’t buy the hype!!! Chuck was extremely thorough and was great at explaining everything he found. His report was very complete with detailed photos. We truly appreciate the time he spent looking through our new home. Chuck Evans is so thorough and his report was well beyond what I could have imagined. He really took his time and it shows in his work product. I feel so much more confident in our purchase of the home! Chuck did a great job inspecting our pad before concrete pour even though the pad was not in shape for a complete inspection. He highlighted critical defects which the builder immediately responded to and rectified.